Instead, Giuliani managed to do something that would have been unthinkable a few years earlier: He turned 9/11 into a punch line. The late-night television riffs bubbled into prime time during a Democratic debate in October, when Sen. Joe Biden dismissed the former mayor scornfully. “There’s only three things he mentions in a sentence: a noun, a verb and 9/11,” Biden said. That remains the best line of the campaign to date. But Dowd is right: It’s not so much that 9/11 has faded from the national consciousness – though it has – but that Giuliani thought hammering audiences over the head with his leadership in the ensuing days was enough. I’m not convinced, though I can understand why some might want us to think so… particularly those supporting Democrats who to this day look altogether weak and just flat out wrong on the War On Terror. And what is McCain doing, if not running on the results of 9/11, when he talks about how he’ll deal with the war on terror? And, Romney, for that matter. Sorry, I don’t see 9/11 going away anytime soon. It will loom large in the general election, too. ANd so it should. But as for Rudy… well, Rudy had a few problems, most all of which were repairable. 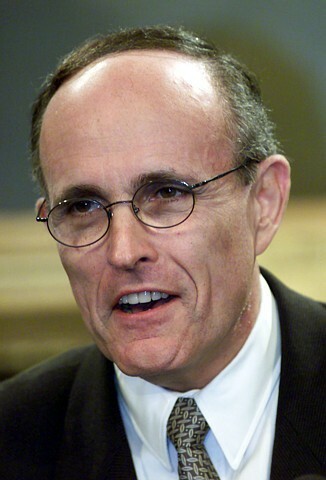 In reality, Rudy’s biggest problem was, he spent all his time on that point the the apparent exclusion of all else I said when he started down that road it was much the same as John Kerry having ‘served in Vietnam’ inserted into his name. Mono-credentialed people simply don’t do well. If he’d been out there a bit more, he might have had enough publicity to add more depth. As it was….